Preventive dentistry is the science and treatment necessary to preclude any disease or condition which may be or become detrimental to the well-being of all aspects of the oral cavity. This pertains to the entire masticatoy (chewing) and swallowing systems as well as speech. There are three kinds of preventive dentistry: primary, secondary, and tertiary. Examples of primary prevention are the establishment of good oral hygiene, systemic and topical fluoride, brushing and flossing, sealants and diagnostic x-rays. Secondary prevention involves restorations to repair a tooth, and tertiary prevention is the replacement of a tooth in some manner, such as a bridge or implant and crown. Preventive dentistry also includes orthodontics, sporting mouth guards, habit-breaking appliances, oral cancer exams, instructions on diet and proper home care, plus encouragement to discontinue smoking or dipping. All the previously mentioned items aid in maintaining excellent bone and gum tissue health. The goal of preventive dentistry is to preclude, when possible, the need for invasive treatment or to at least keep it at a minimum. 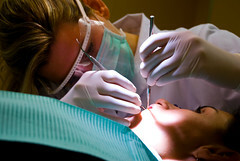 Preventive dentistry also lessens the overall cost and maintains excellent oral health for a lifetime. Absolutely knowing that you have excellent oral hygiene and truly practice excellent preventive dentistry, gives you self-confidence, an added psychological boost, and will result in significant financial savings. to read your new content. This is my fourth time coming by your blog. Thank you kindly. I plan to share my 40 plus years of dental knowledge and experience, and hope that I can “give back” to the profession that has to been so good to me. I try to write in laymen’s terms to explain issues which sometimes can be quite complicated.